I guess I was thirteen, or maybe fourteen. A teacher at junior high school decided that it was time for her pupils to reason about their future. In the Country where I had my lower education, it was necessary to decide in which direction to carry on high school studies, at age fourteen. This is just stupid: a relic of pre-war times, a way to let your family, parents and social customs determine your future, often with myopic criteria. Working families sending their children — without respect for their aspirations — to study how to become plumbers, electricians or hair-dressers. Middle class families choosing humanitarian or scientific studies, to have their son to become a physician, and their daughter a teacher. High class families electing Law school for the boys, and a good husband for the daughters. When it came to me, I had my vision quite clear. My teachers suggesting an accountancy high-school, my mother a scientific one, I was determined to follow my destiny: I would have become either Superman, or the next Roman Catholic Pope. 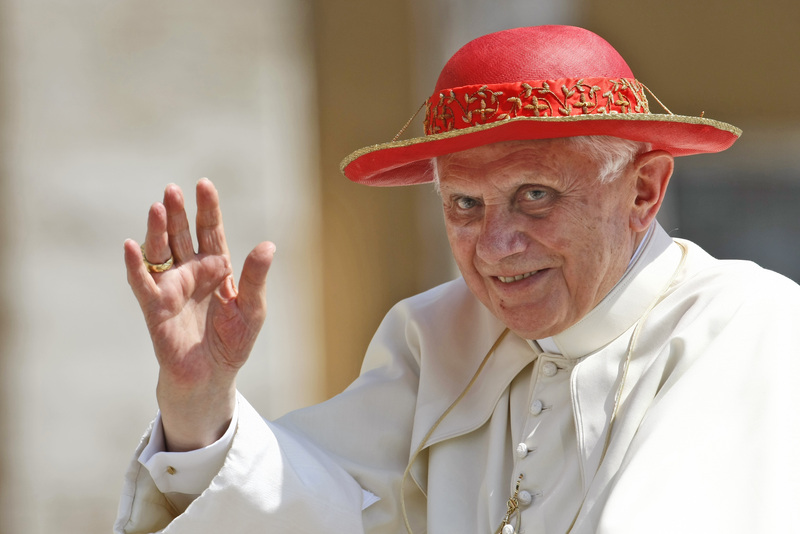 Say what you will about Pope Benedict XVI — the man knows how to accessorize. 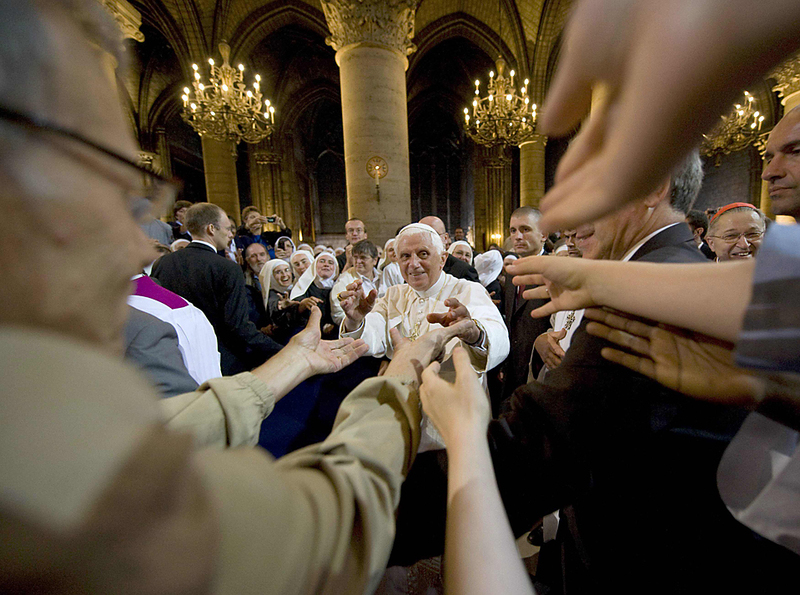 Whether it’s a basic skullcap or a fancy golden mitre, a pair of slippers or fancy Italian red footwear, the papal ensemble sure does make His Holiness stand out in a crowd. Like this red number, which keeps the sun out of his eyes while he’s blessing the masses. More hats and shoes on LIFE Magazine. Read the story of Pope Michael I, a guy who was actually elected Roman Catholic Pope by his own parents. Pope Michael is now living in Kansas, and is enjoying his time with two devoted followers: here his bizarre story. ah ah, actually he does! and I love his taste for red shoes.